Louis L’Amour once said, “There will come a time when you believe everything in finished. That will be the beginning”. 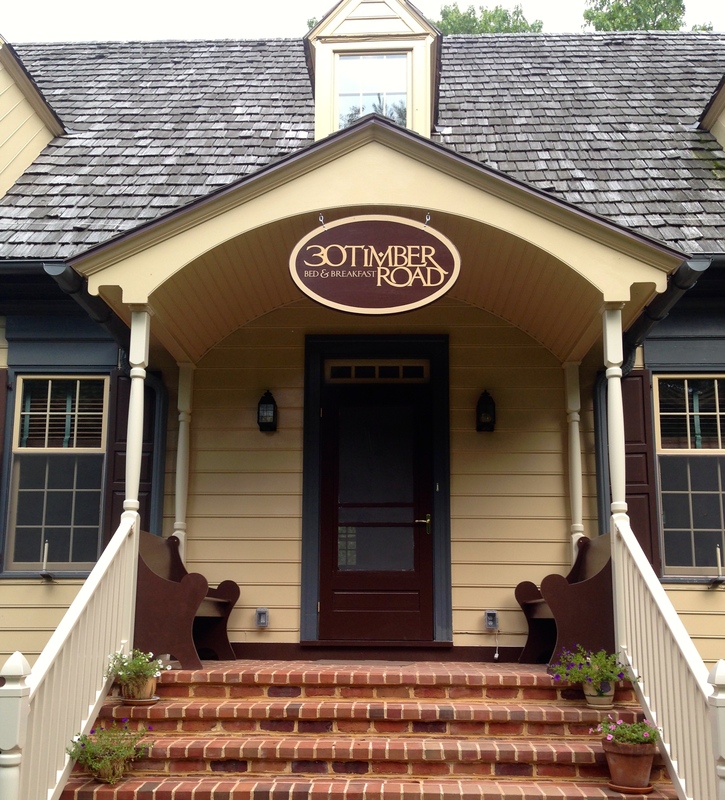 One year ago today, we purchased this beautiful property at 30 Timber Road. We did not buy just a house. 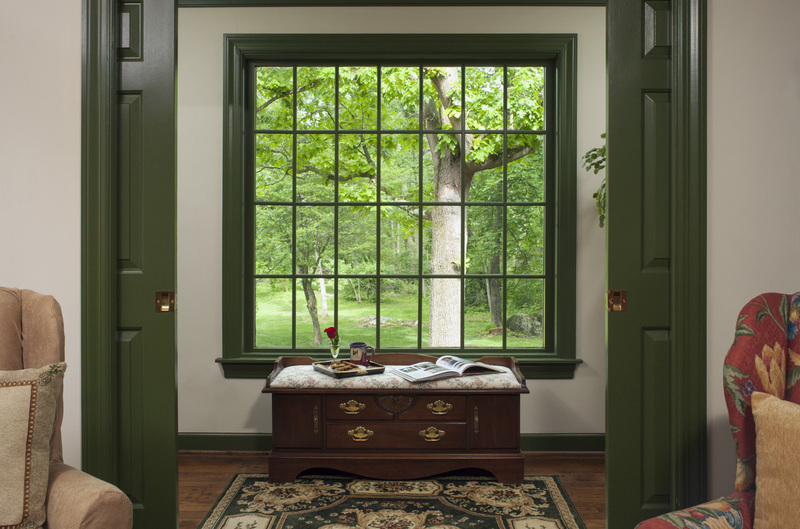 We have become the caretakers of a wonderfully built home, designed and built with love by the original owners. 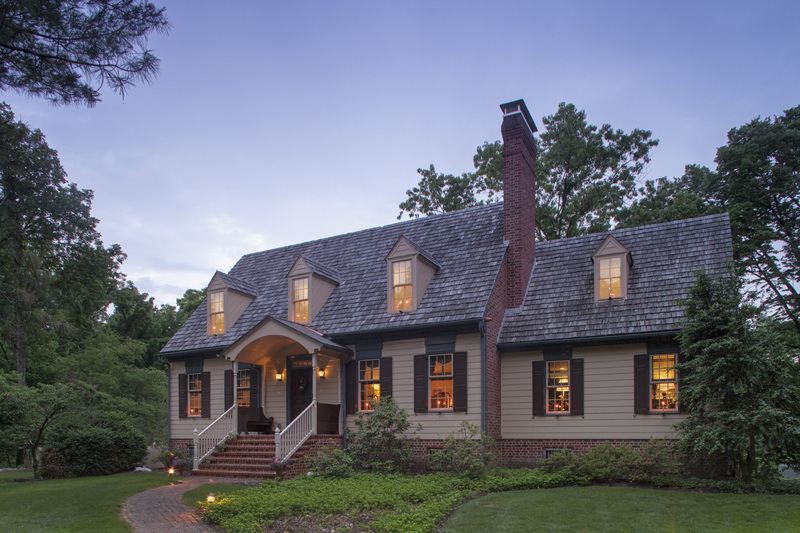 Shortly after we moved in, we were exploring all the nooks and crannies of the house and discovered a journal in which Mrs. Best had chronicled their adventure as they found the land and built this lovely home. Her last journal entry states in part, “I hope they have as many happy memories and love it as much as I do.” We do absolutely love it here! We have gathered some friends on different occasions for laughter and fellowship. We have toured people through the house during many phases of the chaos of renovations. And now – we think “everything is finished” – SO it is really the time to begin!!! Our signs are up and our doors are open! We will welcome our first guests during the Corevette show in Carlisle on August 21-24. We also have several Open House events scheduled in the month. Welcome sign for the front porch. As I look out my window this morning, I see a wonderful garden hosting hummingbirds, chickadees, finches, cardinals, and a variety of other birds. Earlier today we watched a whitetail deer and her fawn in our back yard. There are rabbits, squirrels and chipmunks also entertaining us with their antics. And the night sounds are just wonderful – with crickets, tree frogs, and the occasional baaa of the sheep at a neighboring farm. We want to share all of these warm qualities of our new property. 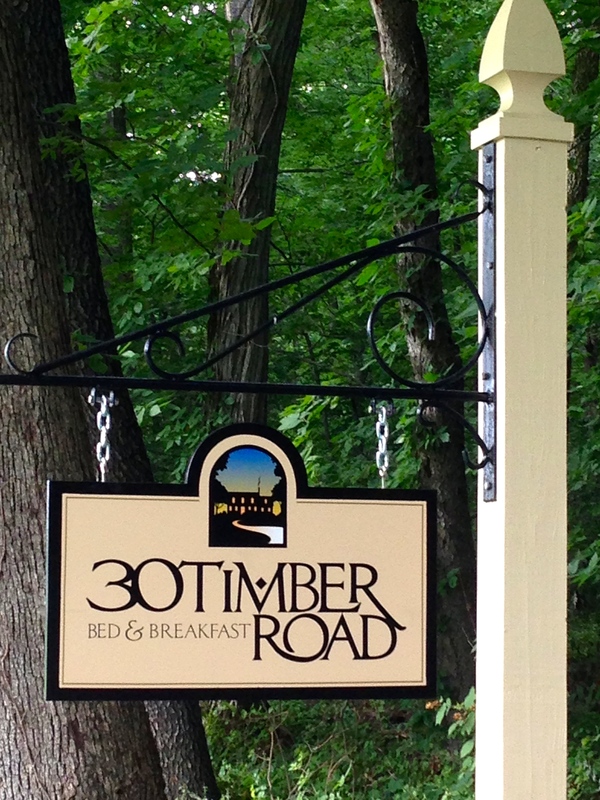 Come visit us at 30 Timber Road Bed & Breakfast and enjoy all the attractions our area has to offer. We hope to see you soon.